Buy Aronia! Select the BEST farm fresh frozen Aronia berries from Blazerfarmz. 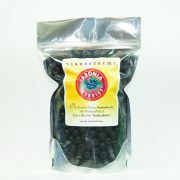 Our dark pigmented black berries are a Heartland grown superfood consumed for the qualities of health and wellness.